Sound familiar? I thought for sure that kindergarten would zonk this 5-year old out. But as always, her stubborn persistence continues. How are we tackling bedtime with a child that hates to sleep? 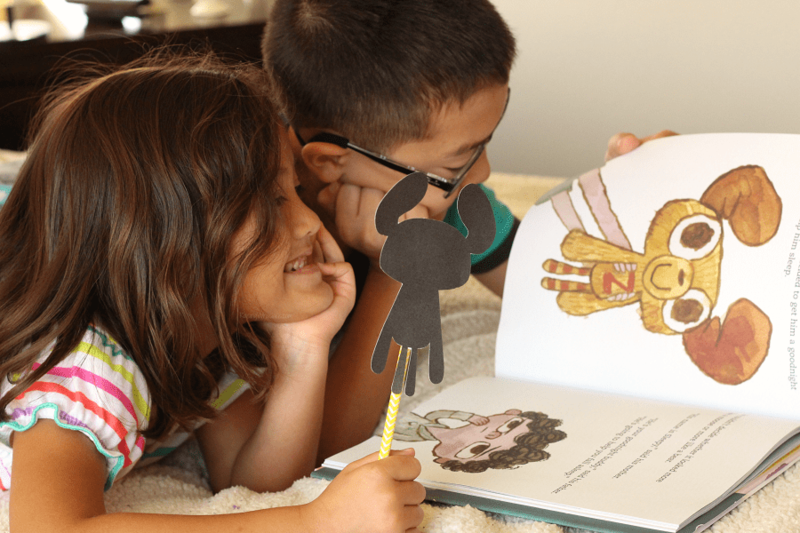 Our new book from Disney Book Group, Sleepy, the Goodnight Buddy, and these FREE Shadow Puppets Printable for Bedtime Play are bringing perspective, laughter and even a few yawns to our bedtime routine. 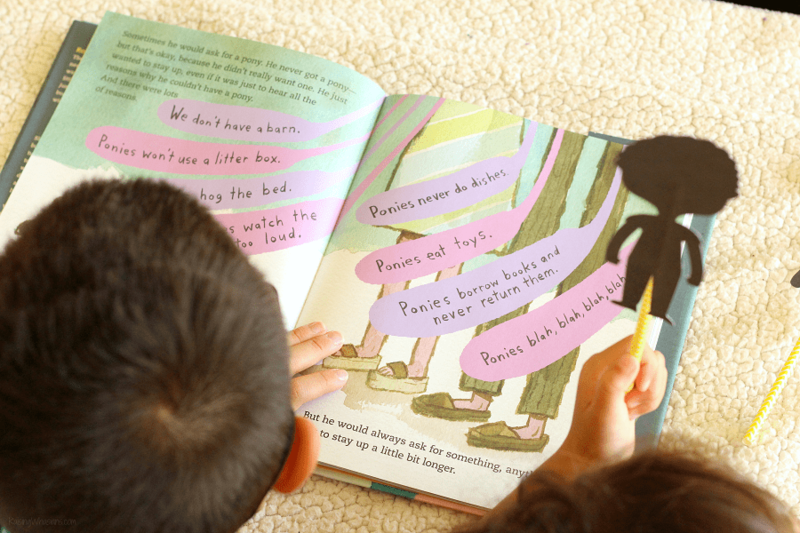 Stories have always been a big part of our bedtime routine. 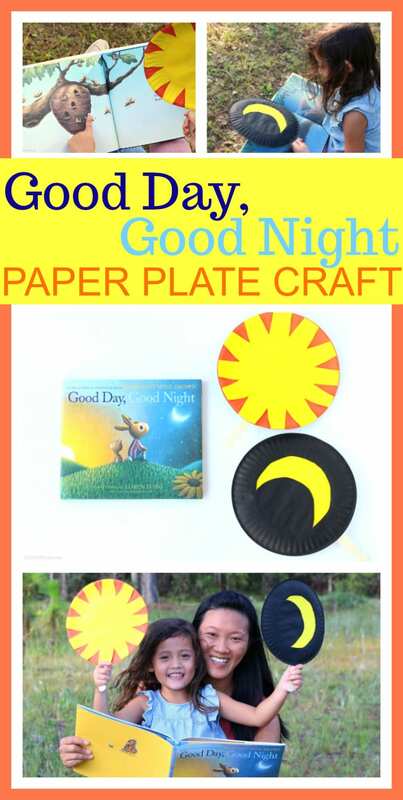 And when you add a hilarious book that encourages kids to sleep? This one has obviously made it to the top of our reading pile. 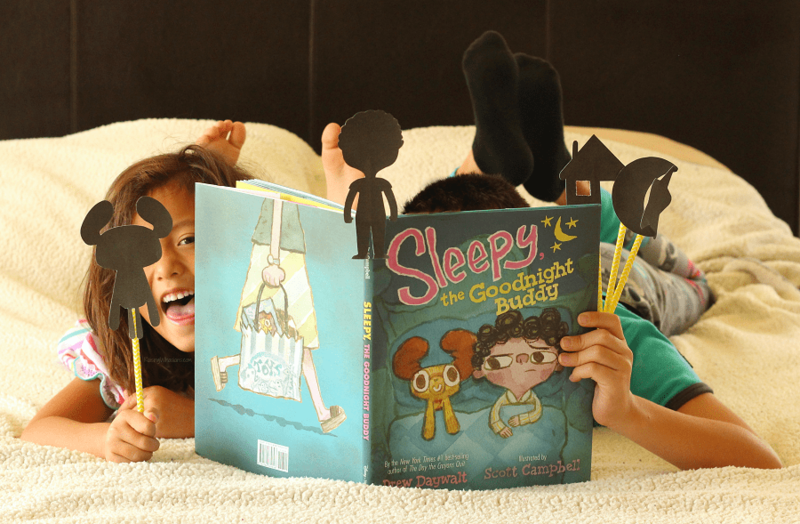 The tables have turned when a non-sleepy child gets a talkative stuffed animal at bedtime in Sleepy, the Goodnight Buddy. 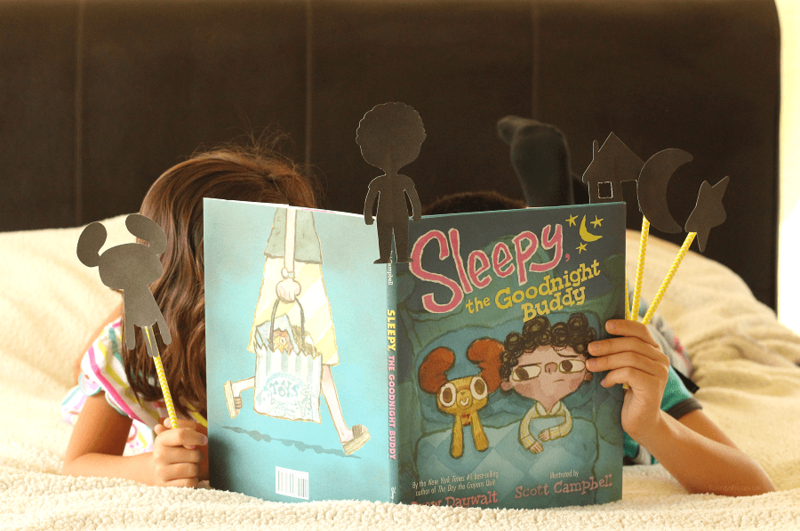 I love how this book is a great cross between a graphic novel and a fun picture book. Fun for both my 9-year old son and his little sister, it’s a bedtime story they can agree to read together too. 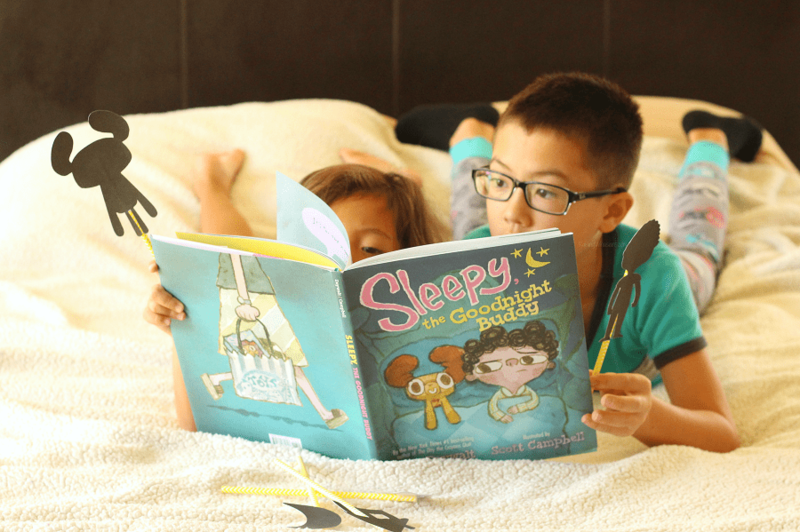 By the time we’re done reading this book for the night, we’re ALL laughing at just how relatable this book is to our current bedtime situation. My kindergartner is all about hands-on learning lately. 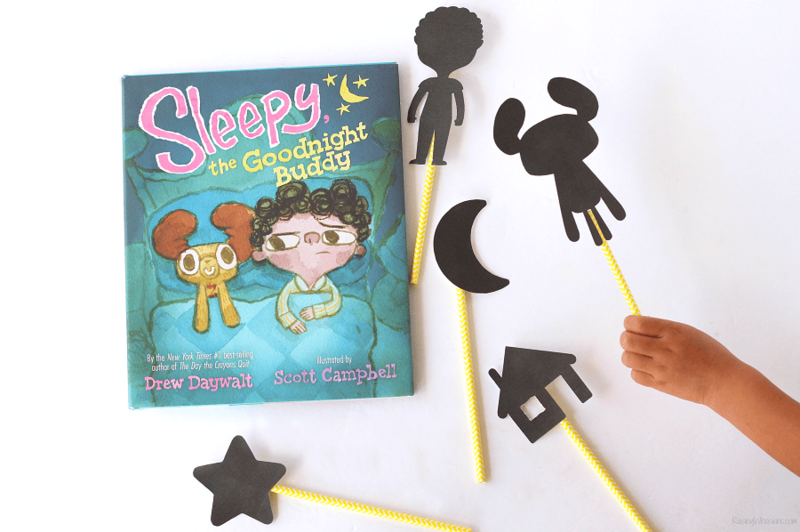 And with these FREE Shadow Puppets Printable, inspired by Sleepy, the Goodnight Buddy, she can act out the parts and follow along our story with laughter, fun and a little touch of whimsical play. 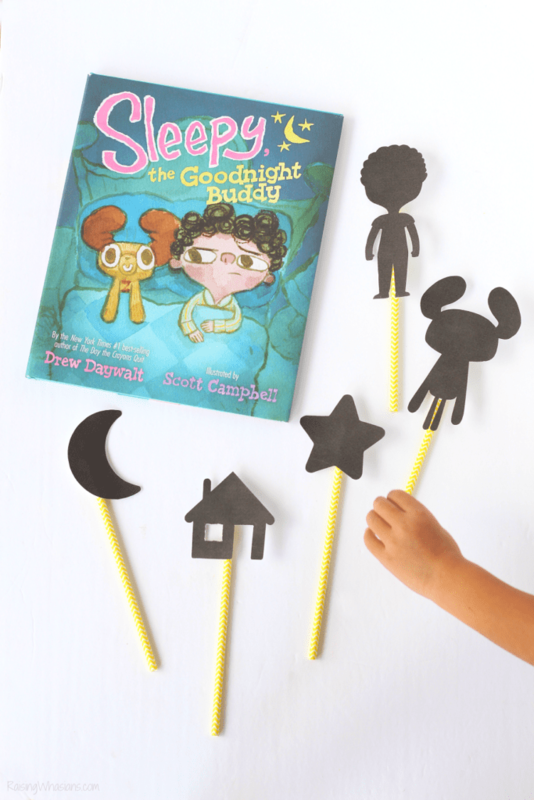 Just print out Roderick, Sleepy, and other free shadow puppets printable, attach to a stick of choice (we used paper straws) and grab a flashlight for a theatrical rendition of Sleepy, the Goodnight Buddy for bedtime play. Seriously, how cute are these? we are definitely making our bedtime routine more fun. And maybe, just maybe we have a little girl who’s starting to understand just how important sleep is. 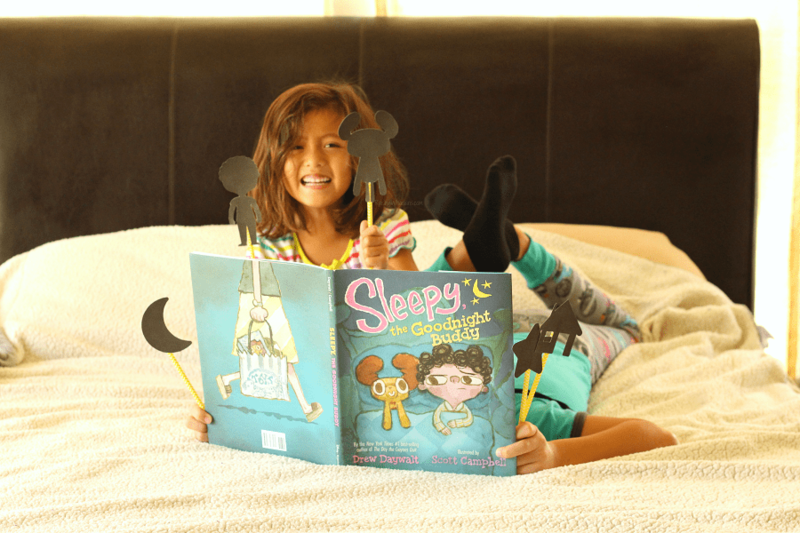 Get your copy of Sleepy, the Goodnight Buddy from Disney Books, now available on Amazon. 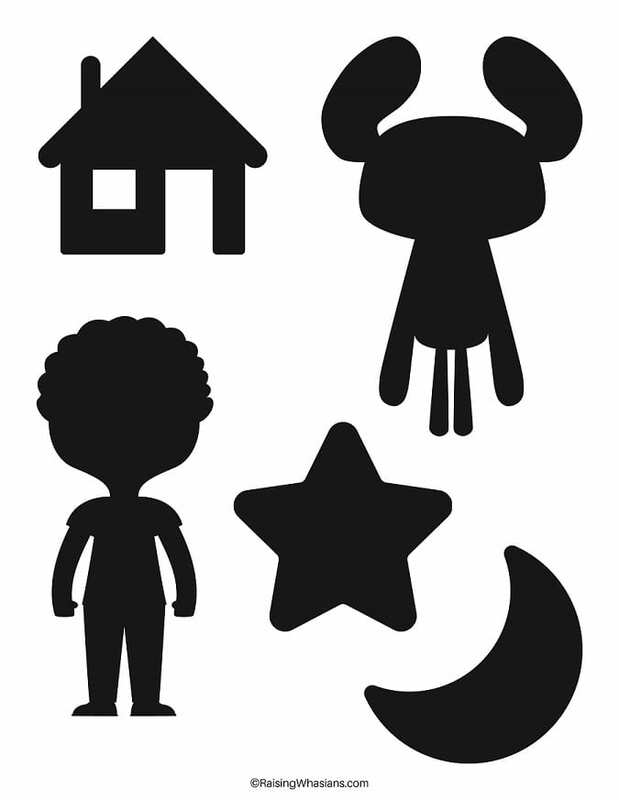 And don’t forget to grab your FREE Shadow Puppets Printable to bring some extra fun to your bedtime routine. 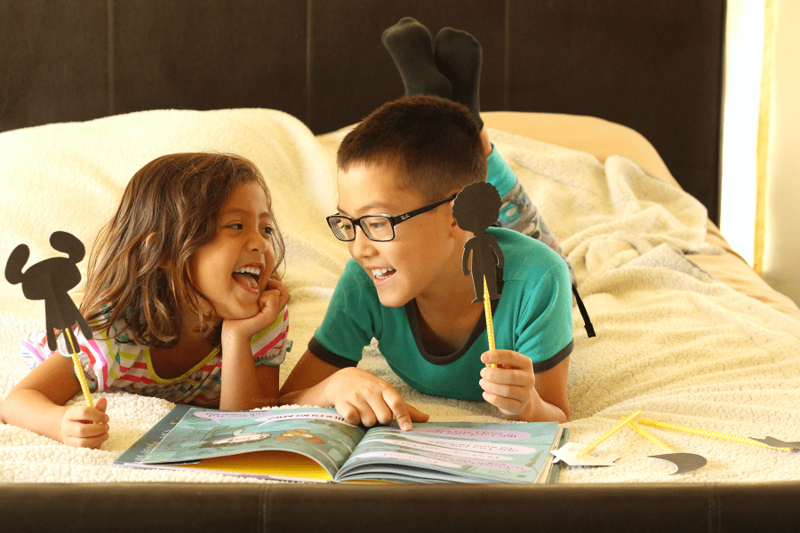 What are your best bedtime tips for kids? Be sure to follow Raising Whasians via Facebook, Twitter, Google, Instagram, Pinterest and YouTube for more of your favorite kids crafts, parenting tips, easy recipes and family travel tips.